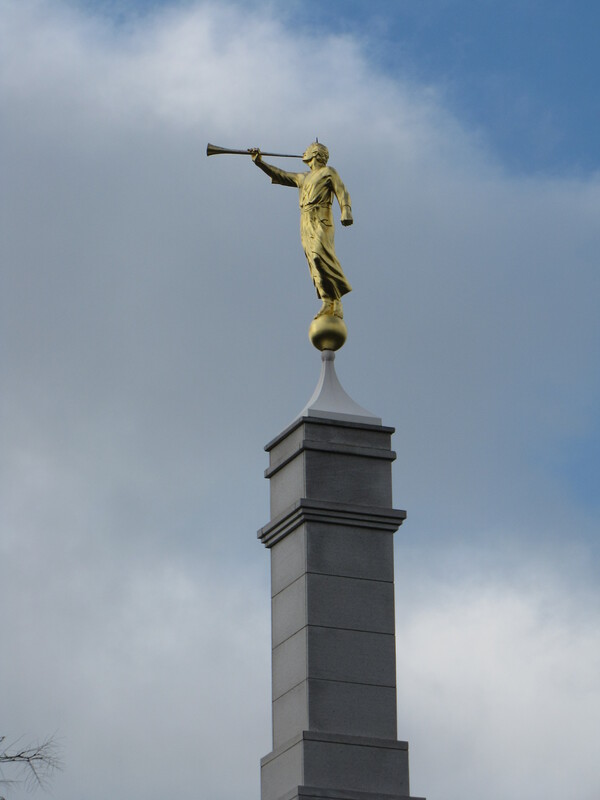 The wingless Angel Moroni is depicted in the gilded sculpture on top of the Mormon Temple. The temple was built next to the Pioneer Cemetery at Florence, Nebraska, the site of the Mormon Winter Encampment in 1846-47, after their exodus from Navoo, Illinois. The Book of Mormon is a group of records compiled by prophet and historian Mormon and translated by Joseph Smith. Today the church is known as the Church of Jesus Christ of the Latter-day Saints. H, just passing by and noticed your post. Just some helpful corrections about the history. There aren’t ten golden plates. Although the book contains commandments, it isn’t similar to ten commandments, like in the form of ten tablets. The Book of Mormon is a group of records (with different authors, that was compiled by a prophet-historian named Mormon) and that group of records was translated by the Prophet Joseph Smith through the gift and power of God. Also, Joseph didn’t found the Church, he was called and given authority as a prophet (like Moses or Abraham) by God to restore Christ’s original Church back to the earth. It is known today as the Church of Jesus Christ of Latter-day Saints.